Thanks for taking a couple of minutes to visit our web site, We hope that you will personally visit us soon. We are a community of faith committed to God through Jesus Christ As a body we seek to influence people for good both far and near. We are dedicated to the common good through preaching and teaching the word of God, Making disciples and equipping future generations to serve others in the spirit of Jesus Christ. Find out more about our Child Development Center & Academy! 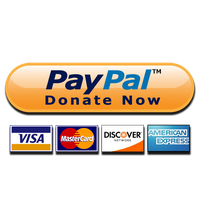 Give freely & securely online via Paypal.